The San Pedro Police Department is inviting the island community to participate in its end-of-the-year Holiday Food and Clothing Drive which will benefit selected families in need on Ambergris Caye. 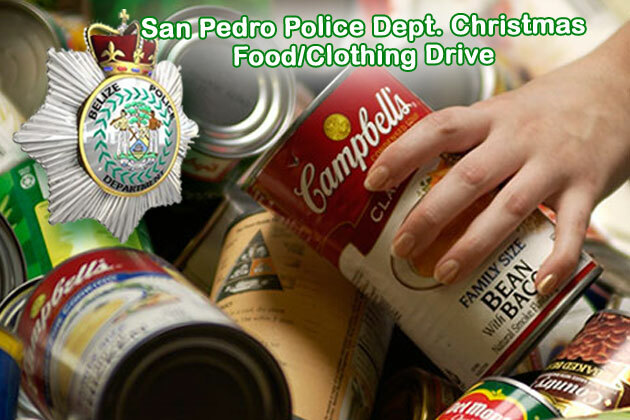 Non-perishable food items and clothing can be dropped of at the San Pedro Police Station up until Friday, December 19, 2014. On Monday, December 22, members of the Police Department will visiting selected families and individuals, sharing with them some of the generously donated items from the community. For More information you may call 206-2022.